Gardeners have quite a few selections in flowering plants that prefer living in acidic soils. Acidic soils have a pH that is below 7.0. States such as Florida and Hawaii experience year-round warm temperatures and high amounts of rainfall and have naturally acidic soils due to the weather conditions. Gardeners wishing to plant acid-lovers in alkaline soils should first amend the area with lime to create more acidity. Camellia (Camellia japonica) prefers living in acidic to slightly acid soil mediums. Plants develop problems when planted in alkaline soil mediums. It is well suited for growing in USDA Plant Hardiness Zones 8 through 10. There are many cultivars of camellias and some produce flowers up to 6 inches in size. Colors vary depending on the cultivar and include colors of reds, pinks and white, blooming winter throughout springtime. Camellias are well suited for containers, specimens or for colorful hedges or screens. Plants grow anywhere from 10 to 20 feet in both height and spreading habit. 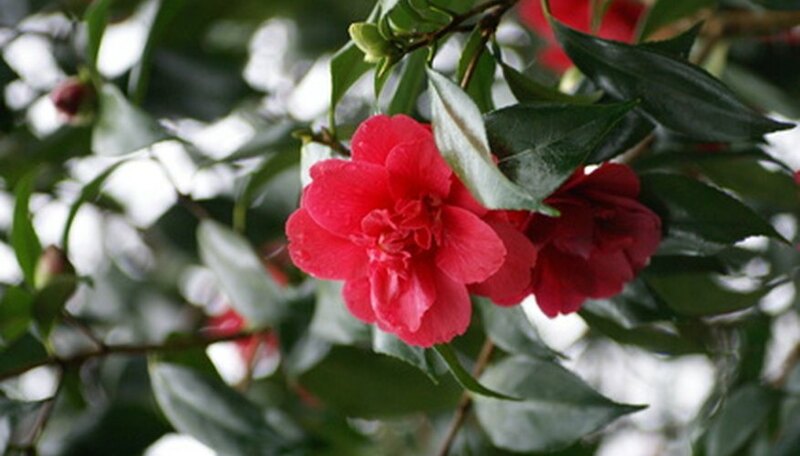 Camellia prefers growing in a well-drained soil medium and has a medium drought tolerance. Camellia prefers living in partial sun to shady conditions. Plants will grow and bloom best when given weekly water applications. Plants have a medium growth rate and a low salt tolerance, making them inappropriate for coastal area landscapes. Gardenia (Gardenia jasminoides) is a perennial, flowering shrub that prefers living in acidic to slightly acidic soils. It grows best in Zones 8 through 10 with a variety of cultivars. Flowers bloom spring throughout summer with white, fragrant flowers. 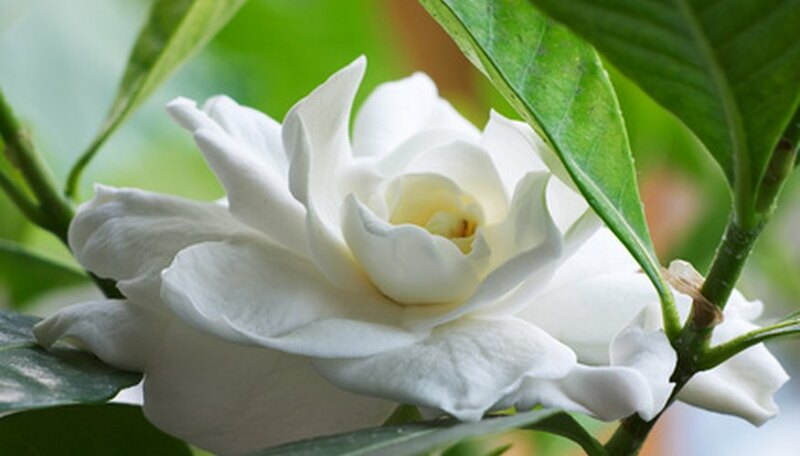 Gardenias are suitable for containers, as specimens in the garden or included in flower gardens. Plants grow 4 to 8 feet in height and spread and have a medium growth rate. Gardenia has a medium drought tolerance and a low tolerance to salt spray. Plants will bloom and grow best when given regular applications of water. Plants grow best in partial sun or shade and prefer well-drained soil mediums. Azalea (Rhododendron) has many cultivars, with all preferring acidic to slightly acidic soil conditions for proper growth. Cultivars come in evergreen and deciduous varieties, blooming March throughout September. Flowers range in colors of white, purple, red, orange, pink, yellow and bicolor. Azalea is suitable for growing in Zones 8 through 9. Flowers attract butterflies, birds and hummingbirds, making is well suited for growing in butterfly gardens. Plants grow relatively slowly and prefer partial sun conditions. 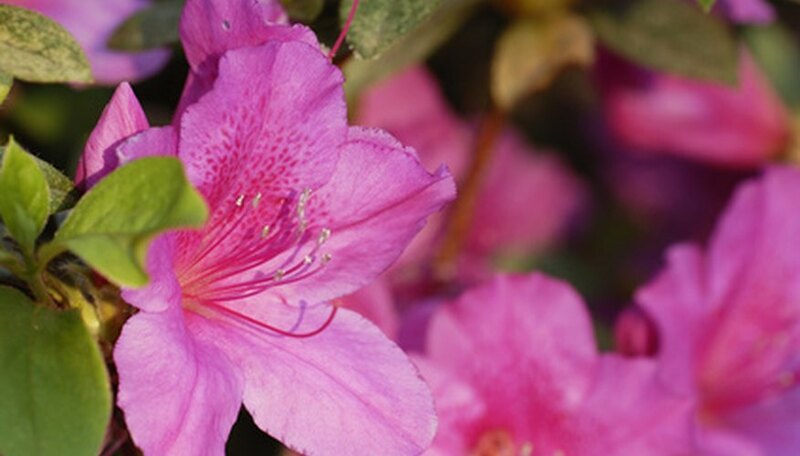 Depending on the cultivar, azalea grows anywhere from 1 foot to 10 feet in height, with a variable spreading habit. Plants have a medium drought tolerance, growing best with weekly watering. 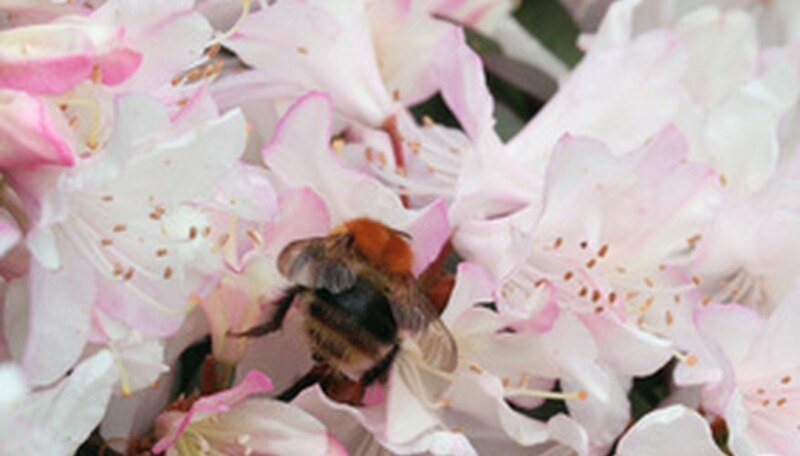 Azalea has a low tolerance to salt spray and prefers growing in well-drained soils.